Successful Mid Cap companies are finding it increasingly difficult to access the funding they need for organic or strategic growth. Many of the traditional financing channels have significantly reduced lending due to reduced risk appetite, regulatory capital constraints and balance sheet restructuring. Whilst other forms of finance are available, the sheer range of options can be confusing and problematic. We are here to put this situation right, and guide you to the finance you need. At Brain Advisory Partners, we help our clients obtain funding from a wide range of international institutions, for fundraisings, financing and growth strategies. We have successfully supported private companies with $10 – $250 million revenues, in many sectors including Logistics, Industrial, Trading, Property Development, Manufacturing, Travel and Tourism, Luxury Goods, and High Tech. You can trust our independence and experience. We only prosper when you succeed. When you need to grow or are at a critical stage in your company’s evolution, we will help you secure the equity or debt-based funding you need. We will work closely with you, adopting our proven, structured approach to define your growth objectives, position those objectives to the financial markets and secure the essential funding. Our aim is to build a long-term relationship with you, establishing funding solutions that evolve to support your business along its journey. We do not directly represent any investment or financing institution. This independence ensures we recommend the best options for you, with an approach to sourcing, structuring and securing funding that precisely matches your objectives. We have considerable experience of the rapidly evolving alternative finance sector, providing increasingly diverse and transparent ways to fund businesses. We work closely with international institutions who will act as your financing partner to create bespoke working capital instruments such as supply chain financing, contract and asset-based lending, CID services, and loans products. We will help you secure the most appropriate specialist finance for your infrastructure and other large capital projects. Our impressive track record of sourcing funding solutions covers a wide range of private and public sector projects, from medium-scale new builds and redevelopments to significant international sites in industrial, commercial, mixed use, tourism and residential sectors. We help raise vital equity through a wide range of international channels for many businesses, from early stage companies to mature SME’s and Mid Cap enterprises. We structure and arrange financing debt including senior, mezzanine and subordinated debt, which can include credit facilities, term loans and uniquely structured debt placements. The debt can be secured, unsecured and insurance-backed, and structured to avoid equity dilution. We can support you engage with both national and international institutions to restructure your existing debt profiles, to increase efficiency and flexibility. Divestures demand a highly coordinated process to maximize the opportunity for all stakeholders. We will support you throughout, from initial preparation to identifying, and approaching potential buyers globally. We can initiate and manage bidding processes and work with all parties to ensure everyone benefits from sustainable success. Joint ventures, strategic co-operation and technology licensing are all effective alternatives to organic growth, through strategic operations. We work collaboratively to produce a clearly defined, effective business case that maximizes the synergies of businesses and markets. All our partners have enjoyed successful corporate careers in leading multinational businesses, and gone on to establish excellent reputations as independent advisors, helping business leaders develop their companies. Like you, we are committed and ambitious entrepreneurs. We talk your language and are eager to help it you achive even greater success. Professional advisor, who is passionate and committed to business development. Whether it involves funding or strategic operations, if Paul believes in your company, he will support you resolutely at all times . This dedication gives entrepreneurs the confidence to focus on leading their business and building something big. A senior banking Industry professional who specializes in underwriting, business development and client relationships. 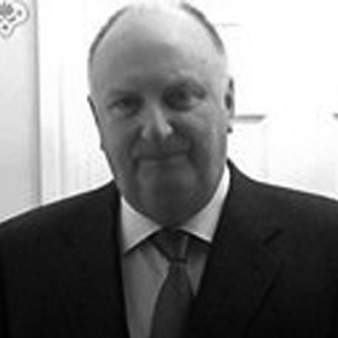 Alex is highly successful in developing bespoke investment and financing solutions, across a wide range of sectors. Philipp is a business executive and client advisor. He has spent much of his career helping clients shape, plan and execute complex market penetration and business transformation initiatives, to support their business growth. A certified non-exec business leader and adviser, Luca has extensive international business development experience, gained whilst supporting a portfolio of companies across FMCG/Food, Retail, Luxury, Printing, Media and Entertainment, ICT and High Tech. Joachim has built a successful career with over 30 years’ experience specializing in Human Capital Management, Business Development and M&A. Combining his national and international expertise with an entrepreneurial drive, Joachim focuses on supporting clients through transformation, business development and mergers and acquisitions. Marty is a passionate entrepreneur leveraging international expertise, knowledge, and market insight to support clients, even in the most challenging situations. Established as an independent business advisor in 2006, Marty brings 20 years’ experience in executive and general management roles. Eugenio is a successful and dynamic entrepreneur with an ethos defined by the concept of partnership and collaboration. Following a successful career in the merchant banking industry Eugenio now operates as an Independent Expert Advisor covering M & A’s, Investment Banking and Corporate Finance processes. Emilio is a transition and re-financing specialist with international experience in supporting customers with demanding requirements. His expertise ranges from corporate finance to business strategy, reorganization and performance improvement. An out-of-the-box thinker, Emilio has led complex projects in US, UK, Brazil, and widely across Europe. Yair is an experienced senior business operator and client advisor. He has spent much of his career helping clients shape, plan and execute complex business development initiatives to support growth and efficient delivery of services. As founding partner in Galil Consultant Ltd, Yair has lead significant programs on international business development, JVs, technology transactions and M&A. 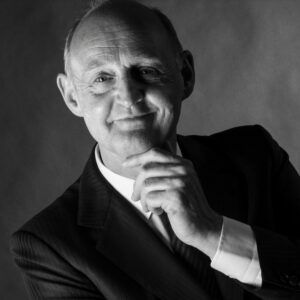 Frits has over 20 years’ experience as an independent advisor, managing director and business unit manager across a wide range of industrial sector. Serving clients both nationally and internationally, his approach aims to develop long-term win-win relationships and deliver sustainable strategic advantages. Tony specializes in merger and acquisition projects, strategy and business planning, operational engagements (turnaround, consolidations, lean) and market entry and feasibility. His record of successfully supporting clients extends across Asia, North and South America, and Europe. Manfred is a senior business operator and client advisor with renowned expertise in the chemical and chemistry-related industry sectors. He developed his career at senior levels in global chemical groups before establishing his own independent practice, supporting SMEs and global businesses across M&A and market development operations.